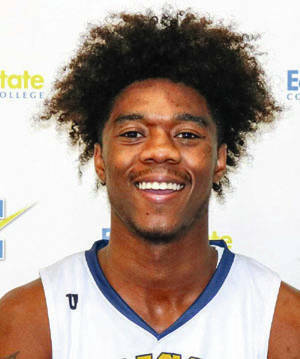 Edison State men, ranked 20th in the latest NJCAA D-II poll, knocked off Owens 107-71. Edison led 50-32 at halftime and won the second half 57-39. Edison improved to 15-3 overall and 4-2 in the OCCAC, while Owens dropped to 2-18 overall and 0-7 in OCCAC play. Lacey Watson just missed a triple double for the Chargers, finishing with 25 points, 16 rebounds, nine assists and five steals. Lomine Komara added 23 points and six rebounds, while Dakota Prichard had 17 points and five rebounds. Mitchell Woods added 10 points, while Jaedyn Carter had three assists and three steals and Malot Dushaj pulled down five rebounds. Aamir Solomon had 25 points for Owens, while Damrius Hill scored 18 points. Sharif Saleem had 11 points and eight rebounds, while Joseph Ochoa and Jacob Cousino both grabbed six rebounds. Kemet Hartman dished out five assists and Ka’von Gainer added four assists. Edison was 36 of 68 from the floor for 53 percent, including seven of 20 from 3-point range for 35 percent. The Chargers made 28 of 40 free throws for 70 percent. Owens was 26 of 72 from the floor for 36 percent, including eight of 34 from long range for 24 percent. The Xpress made 11 of 18 free throws for 61 percent. Edison won the battle of the boards 49-39 and 18 turnovers to Owens’ 24. The third quarter spelled doom for the Edison State women in a 84-64 loss to Owens. Edison trailed 18-17 after one quarter and 35-34 at halftime. But, Owens outscored them 27-10 in the third quarter to take a 62-44 lead and Edison couldn’t recover. Owens improved to 12-7 overall and 6-1 in the OCCAC, while Edison dropped to 14-3 overall and 4-2 in the OCCAC. 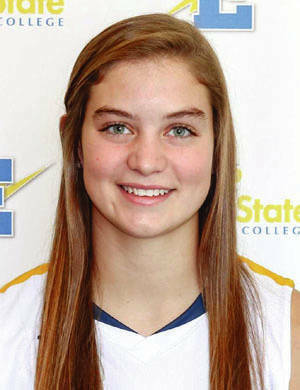 Clair Schmitmeyer led the Chargers with 24 points and four steals. Kailani Broyles added 13 points, five rebounds and three assists. Lauryn Gray added nine points and five rebounds, while Kaylesha Broyles had nine rebounds, six assists and three steals off the bench. Kennedie Reese also grabbed five rebounds. Shyah Wheeler had 24 points and three steals for Owens, while Moreina Moore had 20 points and four assists. Taylor Works had 19 points and four assists and Liliana Vasquez had 10 points. Whitney Thames had 16 rebounds and three steals and Tori Kopp grabbed six rebounds. Edison was 25 of 73 from the floor for 34 percent, including one of nine on 3-point attempts for 11 percent. The Chargers made 13 of 20 free throws for 65 percent. Owens was 34 of 65 from the floor for 52 percent, including two of 10 from long range for 20 percent. The Xpress made 14 of 20 free throws for 70 percent. Edison won the battle of the boards 45-42, but had 26 turnovers to Owens’ 22.